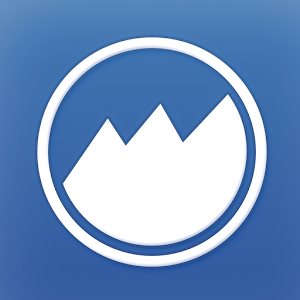 We have some exciting news to announce today: The ManageWP app for iOS and Android is back in the App Store and Google Play Store! We’re pretty stoked about the whole thing here, but before we dive into its many awesome features, you’re probably wondering what I mean by “back” in the app stores. No, you haven’t gone crazy. There used to be a ManageWP app available. But to be honest, it just wasn’t as functional as we wanted it to be. Sure – it offered access to every single feature you could get on the desktop version, but therein laid the issue. After much testing and research, our dev team realized that the fact that the old app gave users access to all the same features as the desktop dashboard was the reason it didn’t work properly. You see, it kept coming up with errors. It wasn’t intuitive. And many issues that users wanted to troubleshoot just couldn’t be addressed within the app. Basically, it wasn’t living up to the reputation ManageWP has crafted over the years of being abundantly useful and easy to use. After the team figured out what was wrong with the previous incarnation of the ManageWP app, they set to work on building something better. And boy, did they deliver! Updates: You can easily update WordPress Core, plugins, and the themes on your sites from within the app with just a few taps. Backup: Quickly perform backups that have been scheduled for your sites by clicking a single button. You can also view your past backups in case you aren’t sure if you’ve completed one recently. You can’t set new backups or perform one-time backups, but you can keep on top of regularly scheduled maintenance with the app. Comments: Manage comments from anywhere! Mark any unapproved comments as approved, spam, or trash whenever the need arises. Analytics: Check out your ManageWP page view stats and the Google Analytics for your whole website. Really great for impressing a potential client at a conference or event. WP-Admin Access: Just one tap will give you access to your WordPress dashboard. Simple and straightforward, just how we like it. You do need to be an active user of the ManageWP.com service to make use of this app, so if you haven’t already done so, you’ll want to setup an account on our site first. Developing an app for ManageWP has been a learning experience. And while things might not have gotten started out on the right foot, it’s all coming together now. And I, for one, couldn’t be happier with the result. Have you downloaded the new and improved app yet? If so, what do you think? We’d love to hear your feedback! Hi, is this still available in the US? I know a new version will be released next year but I was hoping the old version might still be around. Thanks. Sorry, no mobile app is available anywhere at the moment. Secondly, do you have any plans to release the app for the UK audience? This is an old app, we’re planning to release a new one globally in 2017. We ended up moving to a more responsive design. Right now you can use it on a tablet, with plans to improve the mobile experience in the future. No ETA, tho. ManageWP mobile app – It’s 2019, any further news ? Hi Alan, I’m afraid that our mobile app was discontinued with the shutdown of the ManageWP classic version. you have plans to deliver the app in apple stores outside the US? Finally tried this on a new HTC One M8, and it looks nice. However, I don’t see much use for it. My primary need would be to restore from a backup. Backups should be automated, not manual. I can’t imagine why I’d run updates from a phone with no restore ability. So, that leaves analytics and comments, which is interesting, but not so useful. So far, this new app isn’t any better than the old app. I keep getting errors on login. The mobile app has never delivered a good experience and it doesn’t appear to have changed in that regard. Very disappointed. Still. At first I thought “Why would I need another app on my smartphone to manage my mobile sites?” but after reading this post I changed my mind. Because I realised that I could manage all my WP sites when it was convenient anywhere and at any time. Unfortunately I have a Nokia C7, any ideas when you will have a Symbian version? I just downloaded the app and keep getting the message “some objects could not have been updated”. Is that just me or am I doing something wrong? It would also be very awesome if you guys could add the ability to respond to comments via the app. That’s the main thing I’d need to manage on the go, and sometimes ‘approval’ isn’t enough! Are you going to export your application on Windows Phone? Hi Tom, I don’t want to make things weird between us, but I friggen LOVE you guys! Cheers! Cheers! Please continue to support ManageWP! I am a long time customer…back to your Beta days. I still have the OLD app on my phone. Your right, it has been too long. If this one works as advertised …it will make managing my Biz sooo much easier. Will give it a whirl a let you know soon. Thanks for keeping at it! BTW: this mobile resp, version of your site…lose the bouncing/follow logo..,it gets in the way of the forms.